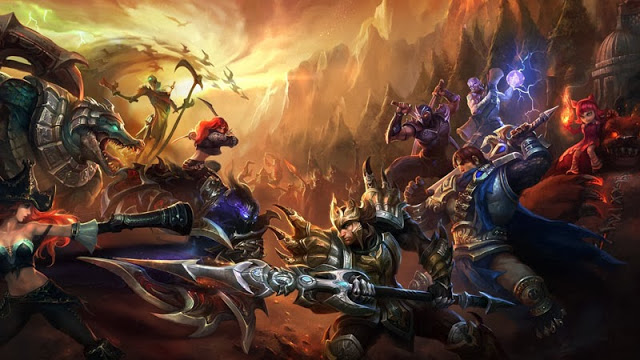 This team composition revolves around terrain-altering champions, which often brings mixed results. With this team composition, it's possible to individually isolate the entire enemy team from each other, even in an enclosed space. As long as you keep the enemies in the cage and the allies safely tucked away, this team comp can quickly come back from even the worst of positions. Ashe [Marksman] - As a primary initiator with the second highest base range in the game, Ashe works extremely well as long as your teammates don't accidentally trap her in with someone dangerous. Azir [Mid] - As a highly mobile champion whose main difficult lies in staying alive, Azir does well in this team composition. Not only does he have his own wall to set up in case things go awry, but with Anivia and Jarvan as well, enemies will find it very difficult to get to him if they don't have a good number of gap closers. Anivia [Support] - Chief bird wall master Anivia is a staple in this team comp, and works surprisingly well with Ashe. As a fellow frost damage dealer, Ashe's slows and stun allow Anivia to land her spells easily and effectively. Jarvan IV [Jungler] - Dunkmaster Jarvan sets up this team composition quite well as tower pushing masters. Azir scales incredibly well with attack speed for a mage, so the bonus provided by his Demacian Standard benefits almost his entire team. Trundle [Top Laner] - Some may choose to place Trundle as a support and move Anivia to the top lane. This works, but the synergy between Ashe and Anivia is extremely fun. Meanwhile, Trundle works well against the multitude of tanky top laners in the game via his defense stealing ultimate and exceedingly good sustain power. This team should study their geometry and the terrain beforehand to avoid game losing shapes. Don't kill your own Ashe. Stack cooldown reduction for epic utility. Zed [Mid] - Although Zed will have trouble once Azir gets Zhonyas, he's one of the few champions with enough utility to move through all the walls. Nidalee [Jungle] - Fighting in close range tends to be fairly difficult against a team with this many walls. As a result, playing Nidalee works well to stay out of range while simultaneously poking from long range. Jayce [Top] - Fighting against a tank stat stealing top laner is difficult with a tank, and so running Jayce top in this case works surprisingly well with his synergy to Nidalee's poke. Blitzcrank [Support] - The best way to get through walls is to bring them to you. Miss Fortune [ADC] - If they're going to set up walls between themselves and your team, might as well use them to your advantage.